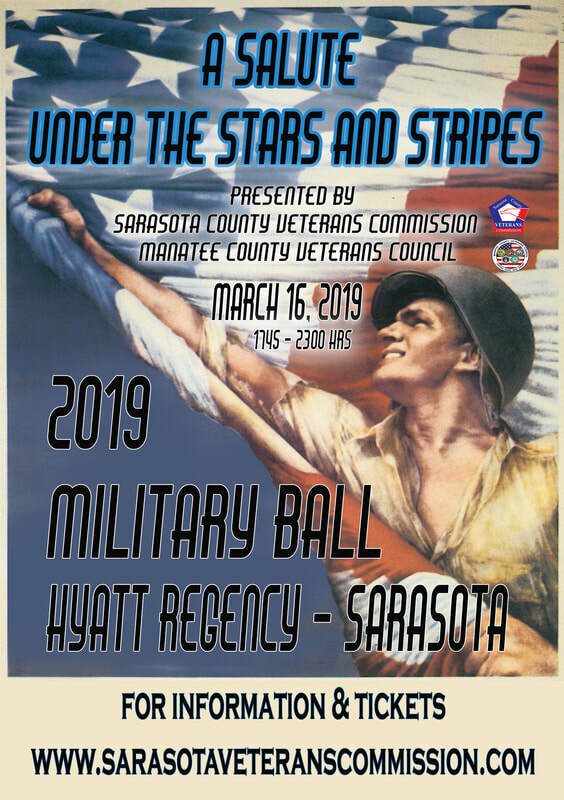 The Military Ball will be held Saturday, March 16, 2019, at the Hyatt Regency Sarasota. Cocktail Hour at 6 pm in the Boat House on the premises of the hotel. Dinner at 7:00 pm, with entertainment by comedian Tim Wilkins, who has appeared on HBO, HSN, ESPN, Fox Sports, TLC, CW, WE Network, MOR in Tampa, and performed at USO shows in the Middle East. This ball is in military tradition--laughter, camaraderie and dancing included! This event is open to all veterans and their guests, and businesses and residents that want to thank military families for their sacrifices. The Military Affair of the Year !